Warren’s Megan Wortman looks to the crowd during Wednesday’s CASA Classic. Wortman scored 25 points to help the Attorneys beat the Volunteers. 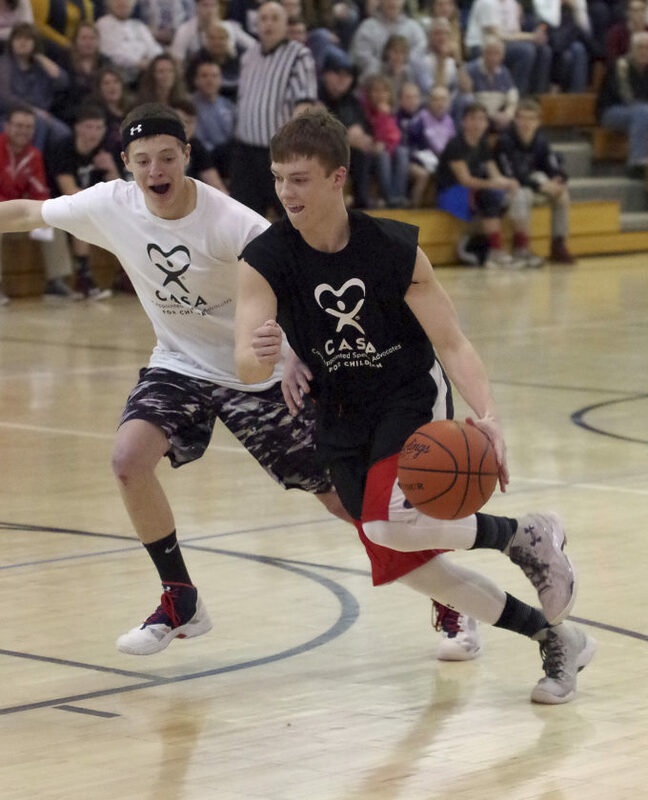 Shots were flying from every direction in Wednesday’s CASA Senior Basketball Classic. Most were off target, but most that left the hands of Megan Wortman and Brady Kesterholt were right on the money. Wortman scored 25 points to help lift the Attorneys to a 44-42 win over the Volunteers in the first of two games at Warren Area High School, and Kesterholt topped 30 with eight three-pointers to help the Judges beat the Advocates by a final score of 60-58 — neither final reflected a scoring system that would have been approved by the PIAA. The 12th annual installment of the classic began with senior girls from Warren, Eisenhower, Warren County Christian School and Tidioute taking on an all-Youngsville team coached by Eric Mineweaser. Mineweaser’s squad included five Lady Eagle seniors — Mackenzie Blake, Ali Ishman, Aspen Flinn, Kathy Sveda and Hannah Bulard. 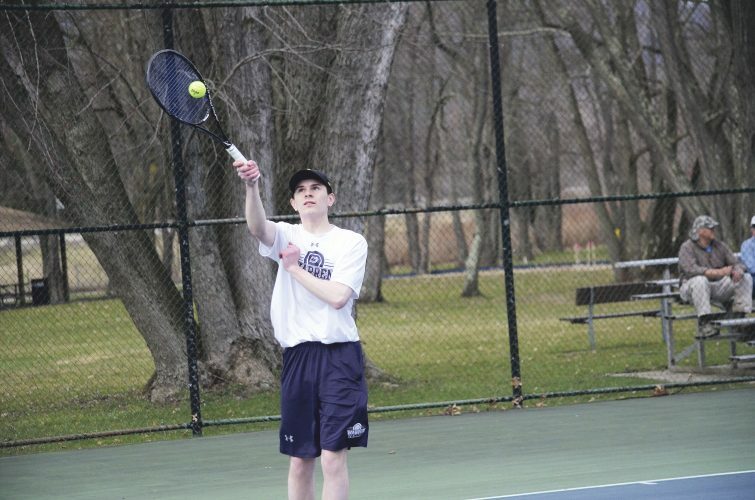 The Attorneys were led by Robert Marrone and featured Wortman along with Warren teammate Maddie Loutzenhiser, Eisenhower’s Kirsten Baran, WCCS’ Allie Marino and Desirae Kerr, and Tidioute’s Hanna Divido. Wortman tallied 13 points in the first quarter as the Attorneys took a 16-9 lead. In the third, Wortman started the action with a three and a transition layup that drew “ball hog” chants from her Lady Dragon teammates in the crowd. 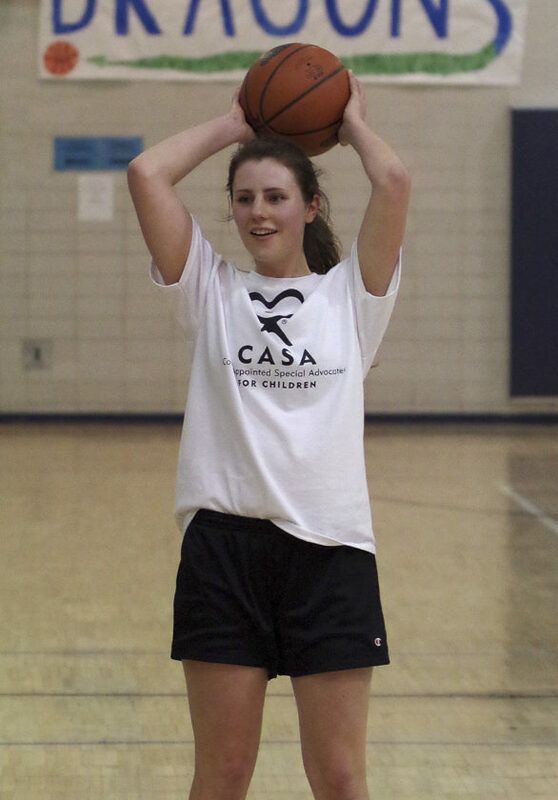 Several celebrity shot attempts were off the mark for both sides, and non-players were held scoreless until CASA veteran Lizzy Marsh left the stands to hit a bucket in the post late in the fourth quarter. The boys game saw the Judges take an early 17-4 lead thanks to three three-pointers from Kesterholt and another from Youngsville teammate Levi Hendrickson. The Advocates brought their share of trickery to the offensive end, though very little of it resulted in actual points. Nonetheless, the Advocates — coached by Jeff Berdine and starring Warren’s Seth Baldensperger, Noah Becker, Braidy Blair, Tristan Davis, and Tyler Gillotti along with Sheffield’s Roger Dunham, Drew Higby, Tanner Leichtenberger, Hunter Lobdell and Austin Simmer — stormed back to take the lead at half. 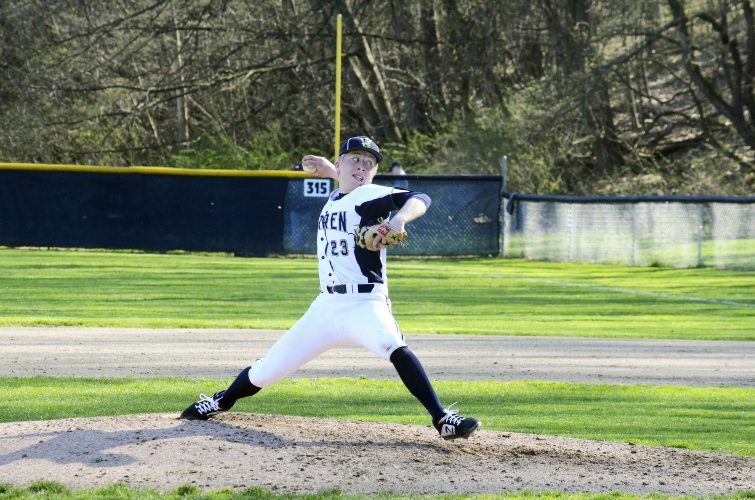 That didn’t sit well with the Judges, a team coached by John Victor and made up of Kesterholt, Hendrickson and Wyatt Rugar of Youngsville with Eisenhower’s Jake Harvey, Jack Reynolds and Thomas Warren as well as Warren County Christian’s Tommy Jones, Josiah Poindexter and Grady Wiles-Shaw. Kesterholt hit back-to-back three’s to start the second half before Baldensperger and Blair answered with long three’s on the other end for the Advocates. The Judges went up 44-35 after three quarters when Jones pump-faked his defender and knocked down a shot at the buzzer. Youngsville’s Aspen Flinn gets a little help dunking during the second half of Wednesday’s senior game at Warren Area High School. The real action began in the fourth quarter when Higby opened the frame with a dunk for the Advocates and Rugar put down one of his own in response. The crowd came alive when Baldensperger drove the lane and passed the ball off the backboard to Blair, who completed the alley-oop with a huge dunk. With the score tied 58-58 and time ticking away, Thomas Warren closed out the night in style when he rebounded a Poindexter miss and hit the putback to give the Judges a 60-58 win. 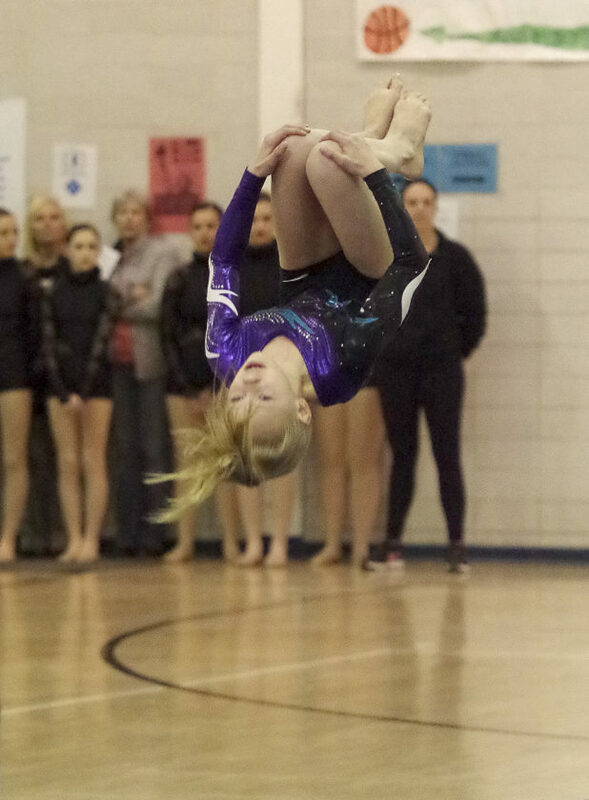 YMCA Powerhouse Gymnastics member Ellie Yeager performs between games at the 12th annual CASA Senior Classic Wednesday at Warren Area High School. Warren senior Braidy Blair throws down a dunk during the fourth quarter of Wednesday’s CASA Classic basketball game at Warren Area High School.